Beer is brilliant with food and absolutely deserves its place at the dining table, certainly as much as wine. Due to the diverse flavour in beer there’s almost no food it doesn’t work with. But with over 140 different styles of beer how do you know which is the right one to choose for your favourite food? The most important thing to remember when pairing beer and food is that there’s no right or wrong. If you like a particular beer with a certain food, then that’s a good pairing. Having said that, there is a very simple principle to follow that makes matching beer and food easy: match the flavour intensity of the beer to the flavour intensity of the food. Light beers, such as Little Valley Hebden’s Wheat, with light foods like white fish. 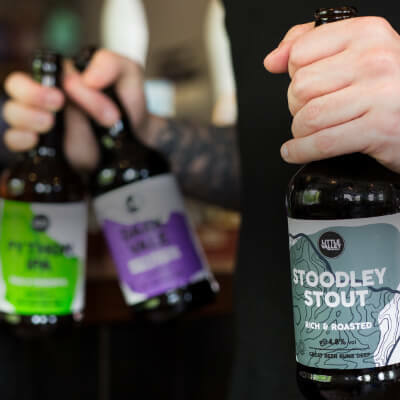 For bolder flavoured beers, like our Stoodley Stout, opt for food with bigger flavour, such as steak. There are of course exceptions but if you follow this principle of balancing flavour intensities you won’t go far wrong. There’s also a useful mantra to use if you want to really drill into why beer and food work together: cut, complement and contrast, of the 3 Cs! So what is cut, complement and contrast? Cut: a beer that cuts through the flavour or body of the beer. This is achieved from the carbonation in the beer. You’ll also find the bubbles from the carbonation will cleanse the palate leaving your mouth refreshed and ready for more food. Complement: self-explanatory but this is where the flavours in the beer complement the flavours in the food. Many beers have caramel notes that they get from the malt, so a beer with caramel notes goes brilliantly with roasted meats, due to the caramelisation that happens when you roast food. 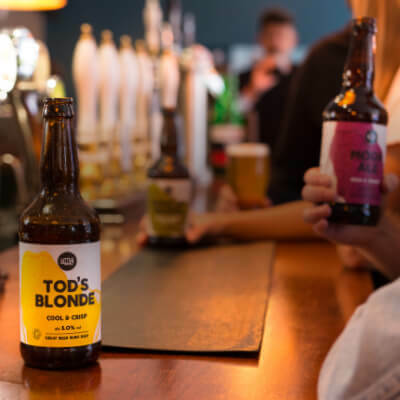 Our Tod’s Blonde, for example, is heaven sent with roast chicken. Contrast: where the beer is a complete contrast to the food. Think sweet contrasting saltiness. Or sweet tempering and soothing heat from food. 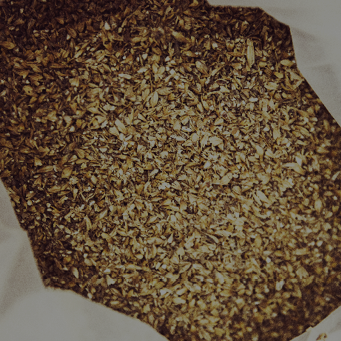 The malty, fruitiness of our Cragg Vale Bitter is great at contrasting the heat of a spicy curry. If you use the flavour intensity principle and the 3 Cs mantra you’ll be able to discover the joys of beer and food matching for yourself.